Oh, my beloved blooms, how I love roses! This is one plant that does benefit from fertilizing. The best way to feed roses, in my humble horticultural opinion, is to feed roses organically. 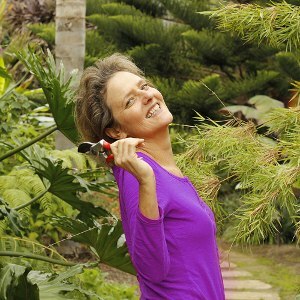 As you know, I always garden organically and naturally because I feel it’s best for the plants and the earth in general. 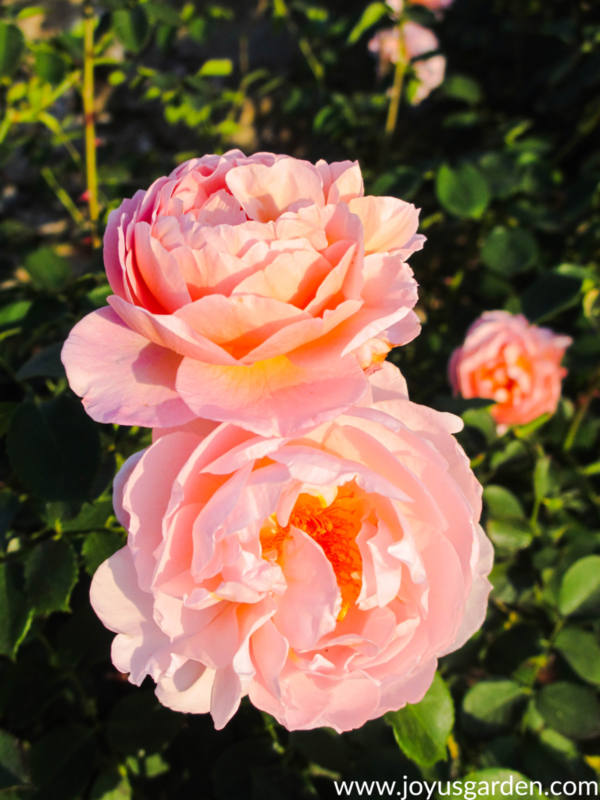 The hundreds of roses that I maintained as a professional gardener always stayed healthy and beautiful – a winning combo. 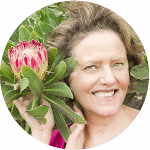 This Ask Nell question came in from Sue in response to a comment I had made stating that I believed in amending and building up the soil with things like compost, worm castings, manure, etc more than I did in fertilizing. 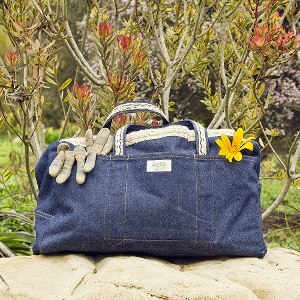 The exception to that is citrus, rhododendrons, azaleas, camellias, and roses. 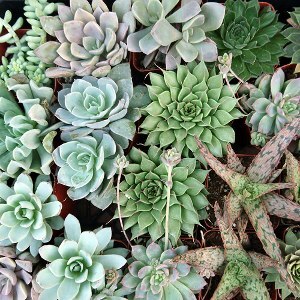 I found that these plants all benefited from a 1 time or ongoing dose of fertilizer. 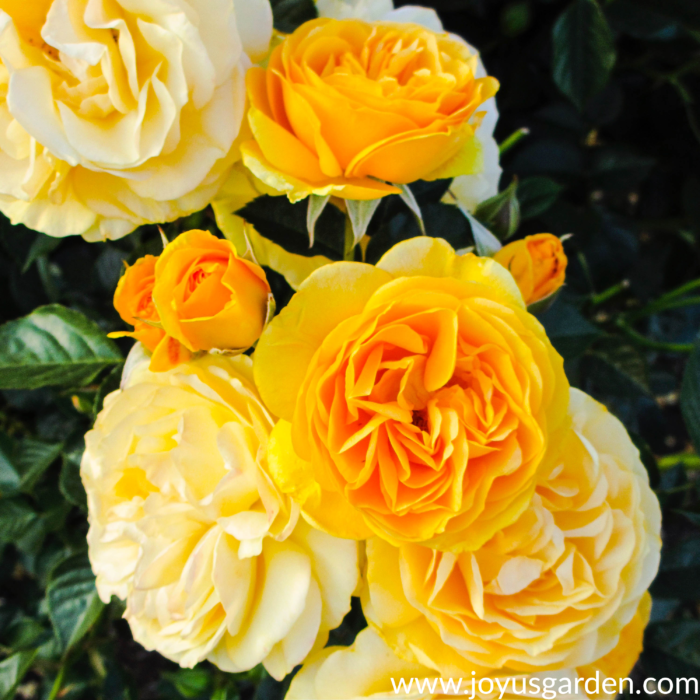 Ready to feed your roses? The brand I favored on the organic fertilizers was Dr. Earth. I also used E.B. Stone, Fox Farm, and Gardener & Bloome. Down To Earth and Happy Frog are great brands too but they were harder to find. Now, the internet has changed all that and like everything else, you can order from the comfort of your back patio. By the way, organic fertilizers take longer to work but because they break down slower, they’re effective for a much longer period of time. Apply the fertilizer to the roses. Use approximately 1 to 2 cups for a large bush, 1 to 1 1/2 cups for a medium bush and 1/2 to 1 cup for smaller bushes. 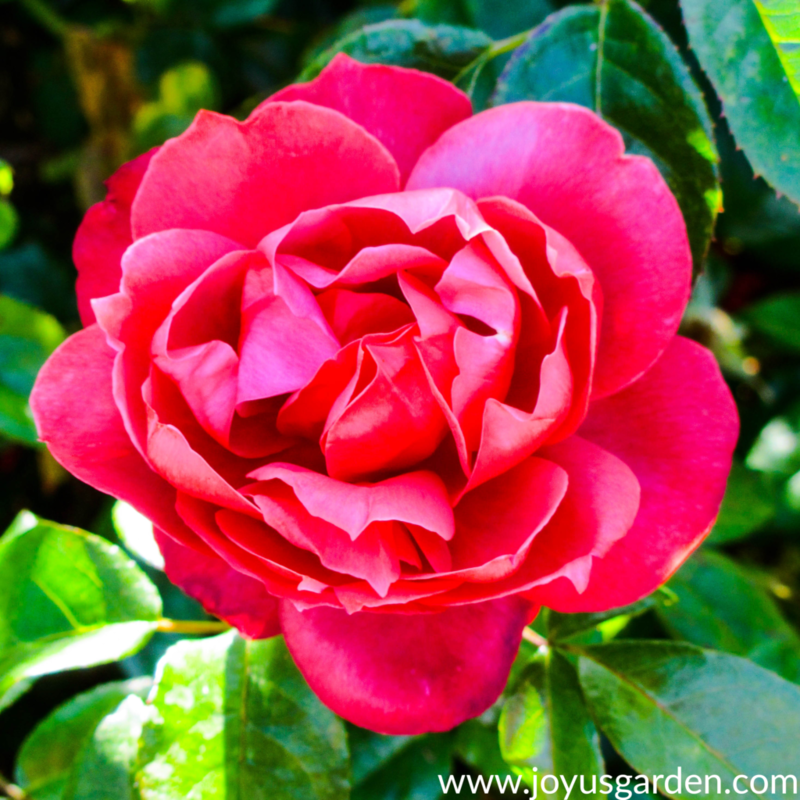 The box of rose and flower fertilizer will give you the guidelines. Because we had large quantities of roses to feed, mixing it up in bulk in a pail was the easy way to go. If you mix up too much, don’t worry – just cover it up and save until the next feeding. 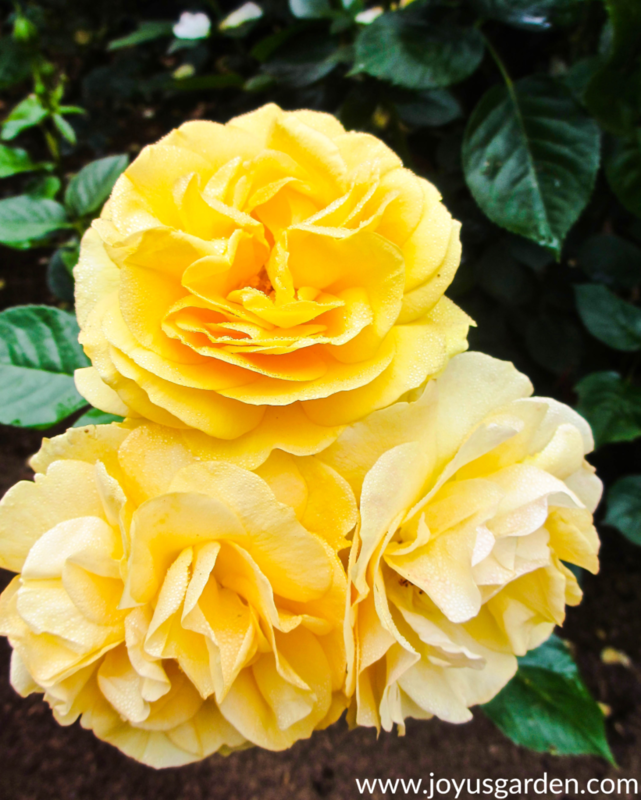 Simply dig a well about 4-6″ deep around the base of the rose in between the trunk and the drip line. Roses don’t have an extensive root system so don’t go out too far. 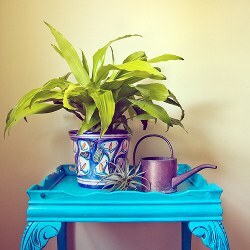 Be sure to water the mix in well and never fertilize a dry plant. If it’s dry, then be sure to water first. 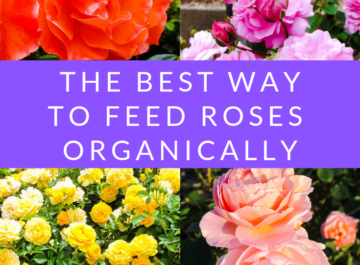 Your roses will greatly benefit from 3 feedings a year. In coastal California, I would do a feeding in March, another in May the 3rd in July and finally 1 at 1/2 strength in early September. If you’re in a colder climate, start after danger of frost has passed and wrapped it up about 6 – 8 weeks before the 1st frost in late summer/early fall. Do this, and you’re roses will love you. Just think of all the vases of beautiful blooms you’ll have! Great website. I am definitely going to try your suggestions for my withered Camelia and my roses as well. I have been fertilizing but I think I will get better results with your methods. I live in Vallejo and the soil in my yard tends to be alkaline. Hopefully these techniques will help overcome the limitations of my soil.